One often hears dismay over differences among the various [Hawaiian] sovereignty movements today. We believe that they reflect differences in the class outlook, and lack of familiarity with key historical happenings. Differences are replaced by unity as the true facts of history become available. Neither public nor private schools have ever taught the true plundering history of the system that created and controls them. In my seven years at Punahou, five at Roosevelt and three at the U.H. before WWII, nothing truthful was ever mentioned about the mahele, for example, the vagrancy slave-labor law, or the illegal colonial overthrow by the U.S. military. 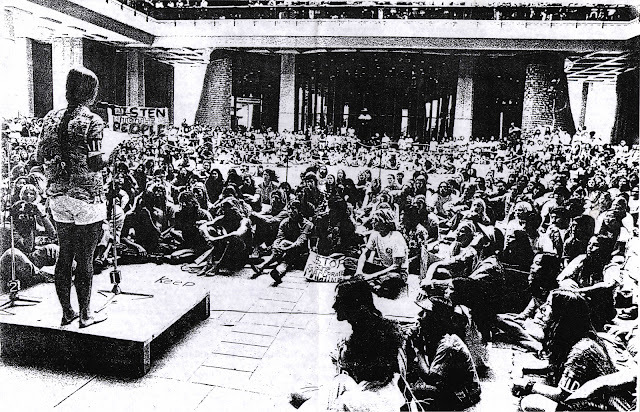 And it took a student/faculty strike at the University of Hawai'i to force the government to fund the Ethnic Studies program begun by rebellious students and a few faculty members, 66 years after the U.H. was created in 1903. 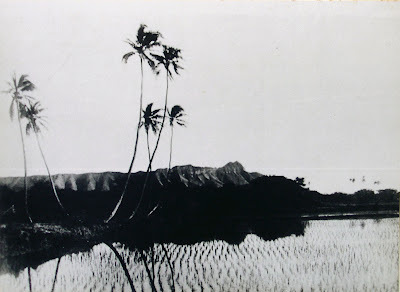 The omissions in our education include both the imperialist penetration and takeover of the islands and the prior rising of a tall but thin pyramidal power structure of increasingly self-serving and warring ali'i (high chiefs) in Hawai'i in the last few generations before the arrival ofCook. Following plundering traders, missionaries, settlers and finally U.S. military interventions, the rising ali'i class played a confused and largely negative role,especially after the self-damned missionary apologists of the colonial market system arrived in 1820. The ali'i class had developed structurally during the last several hundred years of steep population growth and resulting division of labor prior to 1778. Division of labor, such as between coastal fishing village and inland farming with river and stream controls, brings about the need for authoritative coordination -- which contrasts with the preceding La'ila'i period. Pyramidal authority is self-serving and unnecessary. We are convinced that many of today's divisive differences will yield to unity as key facts of history are made known and shared among the people. To this end, we are placing educational emphasis on the past structural aspects of both the communal sharing of land, labor and resources;together with deep understanding and respect for the environment among the Kanaka Maoli (Native Hawaiians). 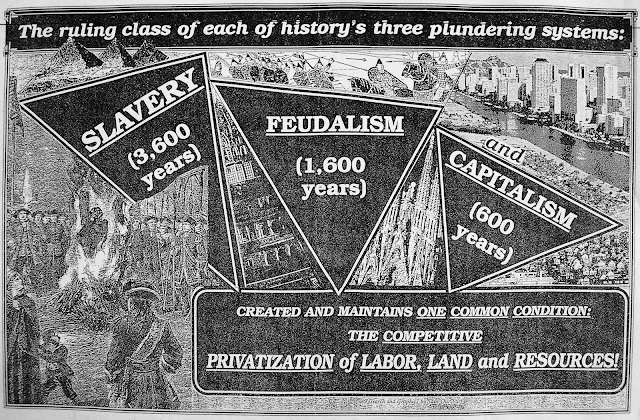 These positives are in stark contrast with the plundering motives and methods brought into Hawai'i and the Pacific by the capitalist privatized market system which still runs the show today. Hawai'i was in the post-statehood grip of rapid change when "Save Our Surf" (SOS) struggles began in the early1960's. Freeways were beginning to rip up old communities.Waikiki was turning into a concrete jungle. Familiar landmarks were disappearing. Surfing friends were being drafted for a far-off war and coming home bitter, if alive. Hawaii's shoreline -- the habitat of many people -- was under assault. Surfing sites, fish and fishing areas, old beach trails, parking areas and public access were disappearing. Once-clean shoreline waters near town were turning dirty brown or green, and beginning to smell. Pollution almost suddenly appeared everywhere -- on roads,sidewalks, beaches, in city air and in the news. Some blamed pollution, congestion and decay on too many people. Others saw a few getting rich from congestion,especially in tourism, but also in merchandizing and housing. One day in the mid-1960's, when before our eyes, a crane dumped boulders into the sea to destroy a favorite Ala Moana surfing site, the new realism came home. Several of us decided to act. 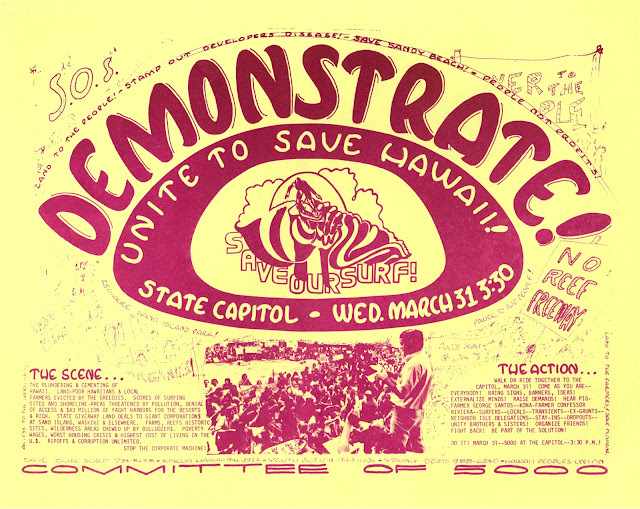 From that decision came "Save Our Surf,"which has had a measurable impact and been a force in reversing some of the negative historical dynamic of colonization and exploitation. We had some experience in media work, research, trade union organizing. We needed facts to answer the question, "What's happening?" From the state transportation department we finagled a batch of semi-secret blueprints and plans for future shoreline ripoffs. One document, "Submerged LandReclamation, Preliminary Feasibility Report, Island ofOahu," showed plans to dredge and fill all the reefs around the eastern half of Oahu. Dillingham Corp., (DILCO),Hawaii's largest construction firm, owner of the only local dredging outfit from the turn of the century, had dredged and filled most of the island's harbors, channels and wetlands. Was this to be their "final solution," the destruction of most of Oahu's coral reefs to keep their dredge busy and their profits up? Looking at those blueprints and plans, we realized that we had formidable enemies. Clearly, Dilco led the pack. Pal of the military, a heavyweight in Washington, D.C.,kingmaker in Hawaii politics, Dilco had had a strong hand inmost big plans and decisions affecting Hawaii from the 1893overthrow of the Hawaiian monarchy to today. But was our enemy just Dillingham? What about the Army Engineers, whichCongress empowered to approve and fund projects in theU.S. 's coastal waters? What about the state legislature and administration which initiates most coastal projects? 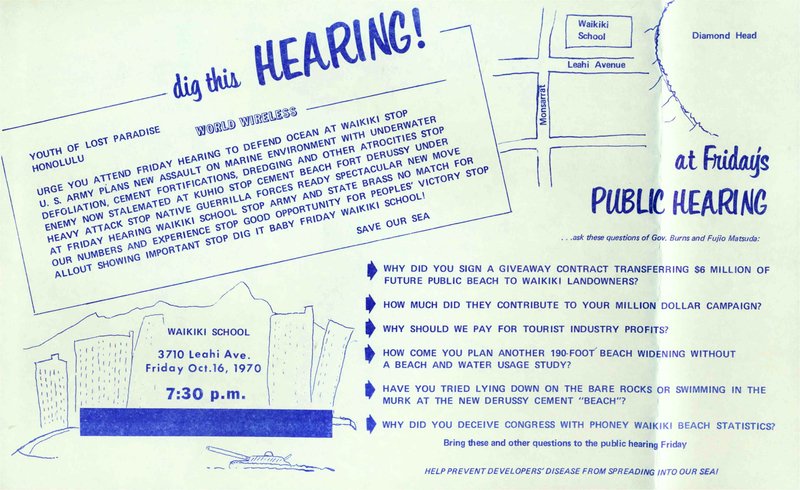 As the answers began to emerge from our search, we realized that to save the threatened shoreline involved pitting ourselves against many of Hawaii's largest corporations, the governor, legislature and U.S. Army.Moreover, the appeal of a surfing site seemed at first to be limited to the surfing community. In the early 1960's we had approached some of the politicians and government administrators. Look, we said,this project will destroy a public surfing site. How about changing the plans? Meetings of this kind brought off few changes. But by the mid and late 60's, the political administrators of Gov. 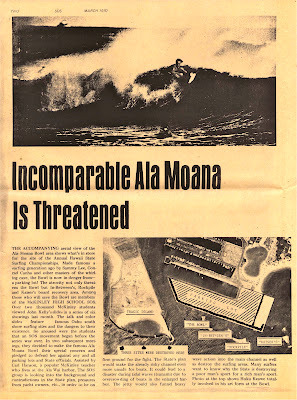 John A. Burns began to say, "Sorry,fellas, the economy of Hawaii is more important than a few surfing sites. We're going ahead with these plans!" It was at this point that we turned ourselves around. Instead of going begging without power to those with power, we decided to build our own power base, not inside the system where big money rules, but outside it, where big money is weak. The system has money and structural power,but not people. Potentially we had the people, we decided, but not money or structural power. Taking stock of ourselves, we saw the surfing community as but one constituency of an overall aggrieved population.We had estimated our numbers around 30,000. A university study revealed, however, that the Hawai'i surfing community was at least three times larger -- nearly 100,000 by 1974 --and growing at a rate four times faster than the general population! We took heart. 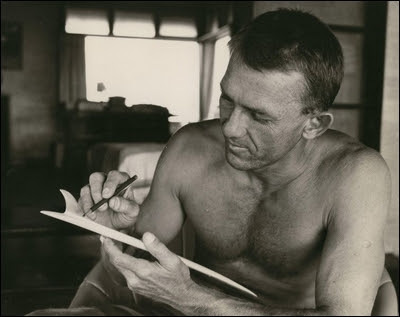 We also learned from this study that one of every four households in Hawaii was "surfer oriented," that many others had an interest in or love for the surf, beaches, fishing sites and shoreline atmosphere of which our surfing sites were a part. Perhaps most of thepeople of Hawaii were potential allies, we thought. If so, they needed to be organized, their power focused, made visible, and applied at judicious points in the struggle. We also learned that our subjective feelings about things were important too, an energy crucible, a shared dream or desire to build something. In the beginning, that energy was loose, floating, nearly everywhere, but soft, compliant, unconsolidated, like foaming seas cut by the prow of a ship. We needed a method with which to gather together,aim and release that energy at the right time and place,like ocean waves that gather their force, rise and break. In SOS, this feeling developed into a basic theme: hang tight on principle, hang loose on implementation! We see this theme having wide application. Humanity flows ahead through powerful systems, changes and revolutions. Through it all love and mutual respect for one another, for truth and for nature remain. Some build organizations that hang tight on method but loose on principles, heavily centralize and rely on hindsight rather than insight. The seas of time inevitably break apart things that are bound too tightly. In SOS, we found from experience that overly tight organization cannot cope with the constant stresses of rapidly changing issues, participants, times and growth. We believe a flexible style is appropriate for an environmental-political movement of its kind. SOS has had many thousands of participants but no membership, no constitution, by-laws, rules, regulations, central office,overhead expenses, elected leaders or internal structure.Yet SOS won complete victories on ten major projects, totaling about $400 million in public and private funds,against the tourist industry, State legislature and administration and the U.S. Army of Corps of Engineers. In addition, the movement won and wrote the legislation for theSand Island State Park, against the State's plan for industrial maritime development. We also won a shoreline setback law, an important study in shoreline wave energy transformations, and assisted substantially in several successful community struggles against evictions of low income tenants, fishermen and farmers. After more than 25 years of struggles, SOS remains organizationally amorphous, able to mobilize forces from the community for confrontations with the establishment and to melt back into the community when the issues resolve or stalemate so that its participants can cope with their own jobs, changing life structures and affiliations. At the height of the biggest confrontations in the early 1970's, SOS met twice a week for nearly three years with from 25 to 100 persons at each meeting, mostly youth.The hang loose approach to implementation of principle enabled us to adapt to many new people who flowed in and out of the movement. Those who could do so, stayed on for years, became skilled in research, media and organizing, learned a significant part of Hawaii's history, and became politically aware of how the system operates. A democratic non-centralized style characterized SOS work. At meetings, participants sit in a large loose circle, usually on a comfortable carpeted floor in a library or home facing one another with eye contact. Ideas flow easily. People sense one another, read body and facial messages of energy, acceptance, boredom or fatigue. In this atmosphere, newcomers feel at home. Early in SOS struggles we learned that the two principal sides of every conflict had to be thoroughly examined. Issues such as the Waikiki beach widening, or the Kalama Valley evictions, are only the surface expressions of deeper contradictory forces. In struggle, we assess the strengths, weaknesses, motives, capabilities, conflicts and contradictions of each of the main contenders in every struggle -- the entrenched propertied wealth of landowners,financiers, developers, etc., and their political agents in government, on the one side, and on the other, the people,the movements, their allied constituencies and internal contradictions. Only down-to-earth two-sided analysis can prevent issues of struggle from floating away in a hazy fog of moral values cut off from the real issues that affect the people. To share our findings with affected communities, we found it necessary to develop our own propaganda arsenal. SOS eventually developed or aided in the creation of several non-commercial print shops with persons skilled in photography, research, writing, layout, printing and more.SOS also collected a library of the establishment's planning documents and studies and about 10,000 slides and photographs of contemporary and historic subject matter.These are used for media presentations and base building. From within the system we found many silent sympathizers, "whistle blowers" who provide us with sunshine information from within the dark recesses of the corporate-political machine. Audiences are stunned to see photocopies or slides of secret documents that lay bare the inner corruption and deception of the system. 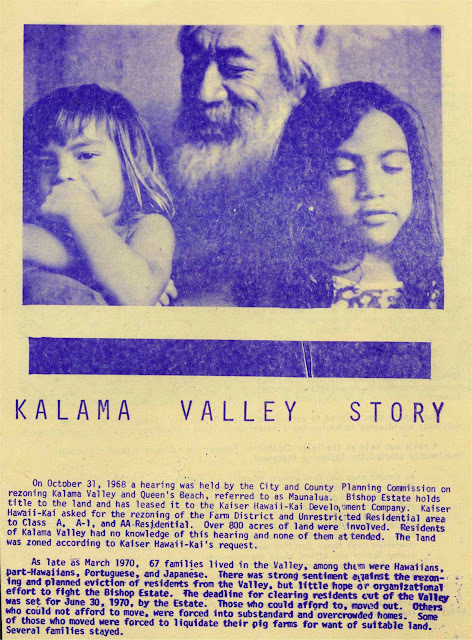 An example was the joint release to the press by the Niumalu-Nawiliwili Tenants Association and SOS in 1974 of five months of secret weekly reports from the local manager of a large home builder to his boss in Florida. Its main project in the islands was to have been a huge tourist resort at Mahaulepu on Kauai. The resort would have doubled the population of the island. The reports contained detailed records of manipulations, secret meetings with public officials, payoffs and corruption involving local attorneys, of the chairman of the State Land Use Commission,and the mayor of Kauai. Our media expose generated 8-column headlines. The manager was fired, the project folded, and the corporation's operations in Hawaii collapsed for several years. The chairman was investigated, the once popular mayor lost the election and died soon after of a heart attack which his family attributed to the scandal and lost election, and a series of subsequent Land Use Commission hearings erupted in chaos under angry attack from hearing participants, to mention a few visible results of the expose. Truth is a formidable weapon indeed. (We later heard that the manager's wife divorced him, and that a son tragically committed suicide). Research, exposing the truth, and struggle, are the primary means of building a people's power base outside the corporate political system. 1. Movement activists must have genuine love for the people and a deep respect for their intelligence, regardless of their age, class, culture, ethnic background or level of education. 2. The movement must arm itself with the facts, avoid all fabrications or half-truths, and communicate the truth to the people. 3. Drawing upon its experience, the movement must then help the affected and aroused people to consolidate their power base and develop an overall strategy and appropriate action program. Absence or weakness of any one of these three principles will inhibit development of base building among the people. No movement, we believe, can survive without love, truth, and action, more or less in that order. From love of the people springs the motive, from truth the methods, and from adequate actions the necessary victories. Finally, important facts presented in educational or news events must be triple checked for truthfulness and accuracy. The adversary role of people's movements vis-a-vis the corporate-political system makes movements vulnerable int he people's eyes if they put out inaccurate or misleading information, or information upon which the people cannot form reasonable opinions or take meaningful action. By triple checking, we mean that single-point information sources are insufficient to rely upon, no matter who or where they come from. Honest mistakes can be as damaging as lies, especially in sharp conflict situations. Among the comments SOS receives from time to time are references by our enemies or adversaries to the veracity and integrity of SOS information. If mistakes are made, they should be honestly admitted for credibility to be upheld. Of all the skills and attributes a movement, like a person, can have to be effective in the struggle, honesty is the single most indispensable trait. And in the never ending struggle between truth and falsehood, truth needs energetic and fearless advocates. Please keep us informed as to how we can be of modest help.